LunaGrown Pineapple Jam is made from fresh pineapples grown in the USA and simmered in it's own juices. 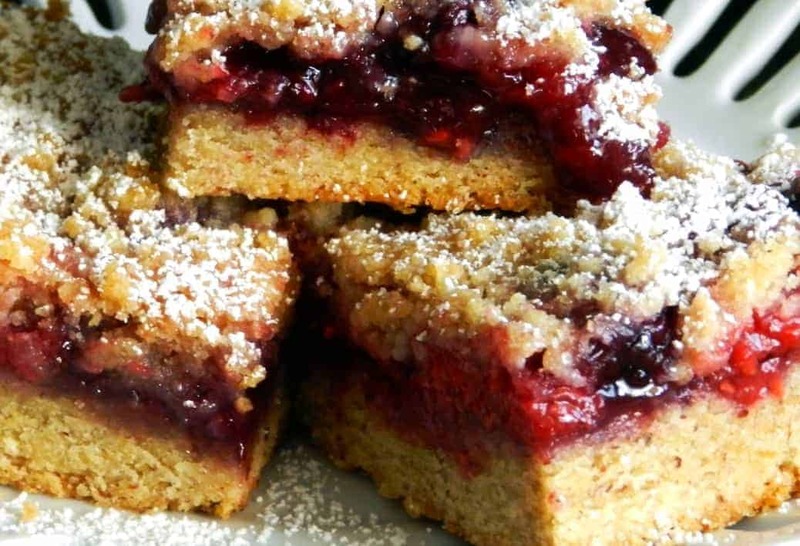 We add just a touch of brown sugar to tempt your palate. This is a very versatile jam. 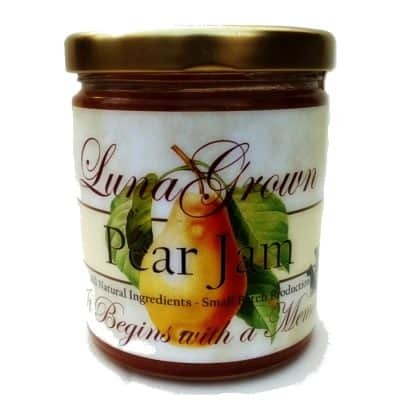 Making a wonderful spread on breads of all kinds, but also a nice glaze or addition to any stir fry. 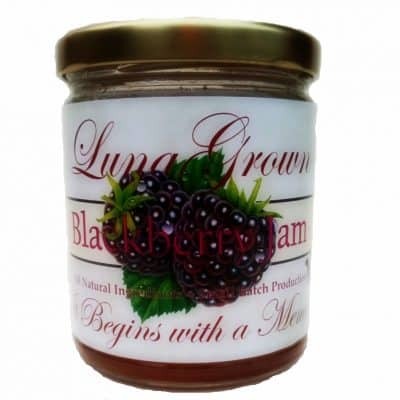 LunaGrown Razzleberry Jam is a combination of Raspberries, Blackberries and Wild Blueberries. 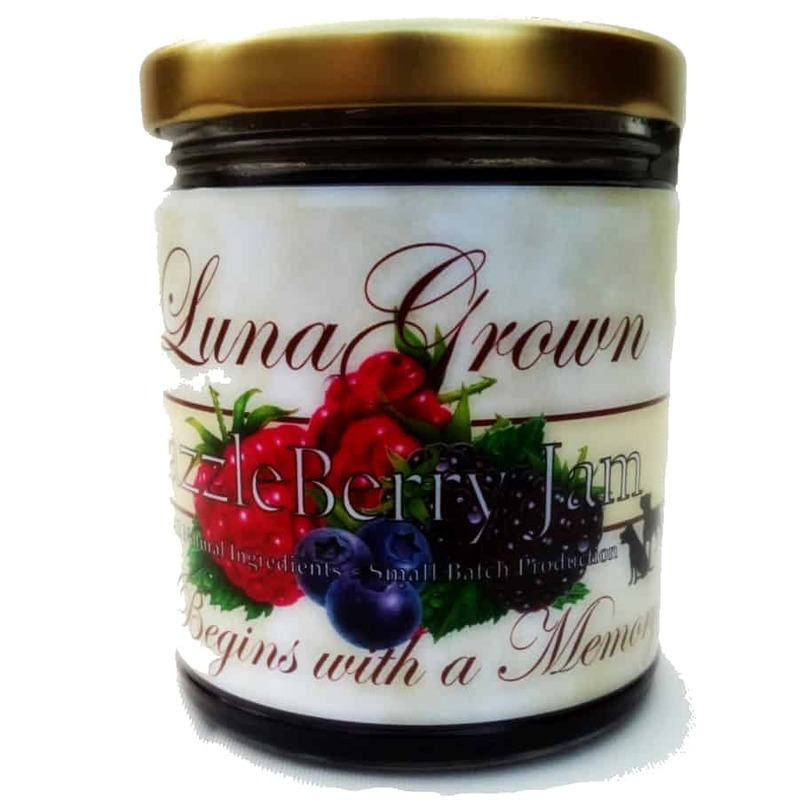 We combine our fresh berries and cook them in their own juices adding just a touch of sugar to enhance the delicate flavor.If you are a lover of traditional berry jams then Razzleberry Jam is a perfect match for you. 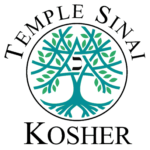 A sought after favorite, great for the holiday season! LunaGrown's Chipotle Hot Pepper Jelly is a hot & sweet smokey delight. This jelly is a warm start to any morning on hot buttermilk biscuits and eggs, served with sausage and bacon. 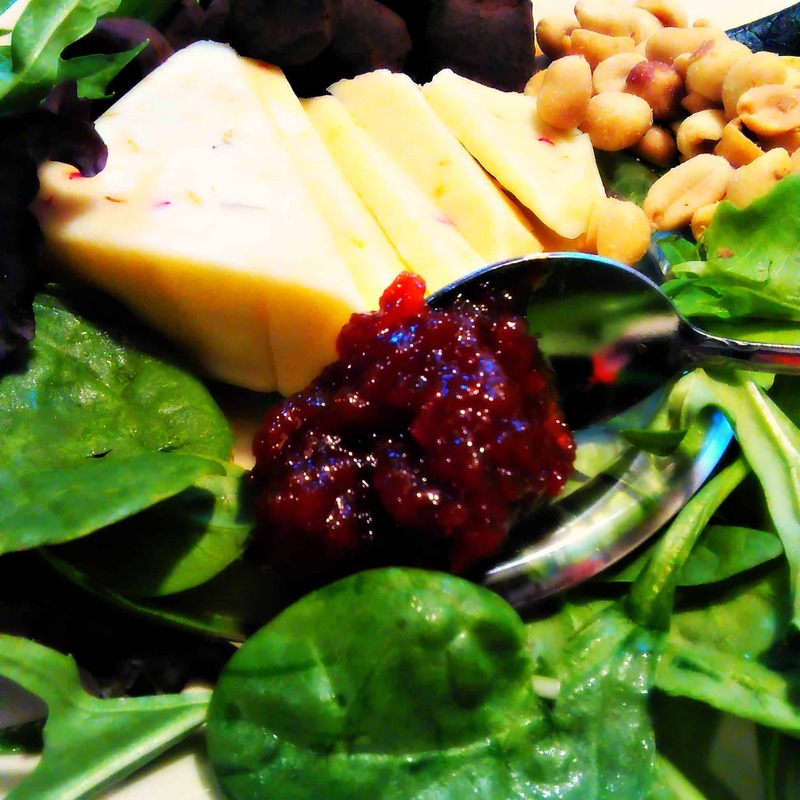 Our Chipotle Pepper Jelly also pairs beautifully on a Turkey or Roast Beef sandwich. Excellent with your favorite cheese. 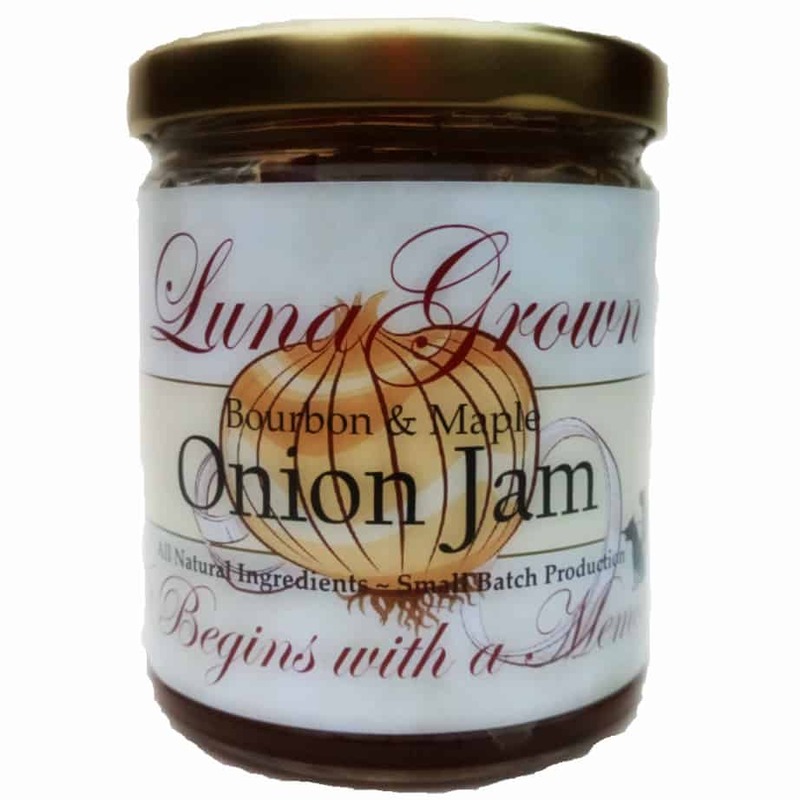 LunaGrown Onion Jam is made with a touch of maple syrup, complimented by a hint of smooth bourbon. 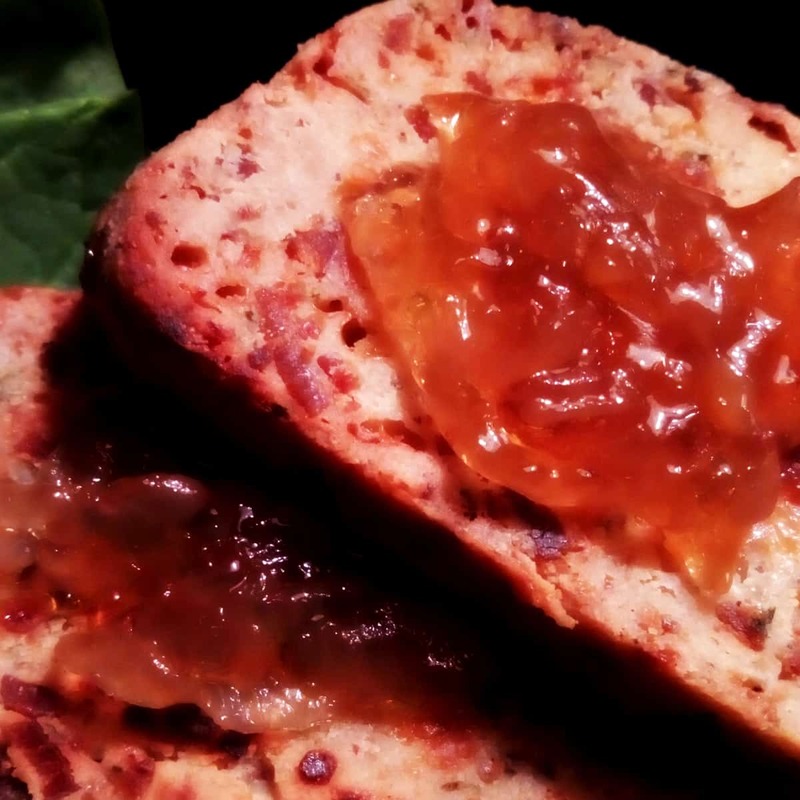 Enjoy a thick layer of onion jam on warm sourdough baguette. Sprinkle a handful of New York sharp cheddar on top, then grill until bubbling and melted. 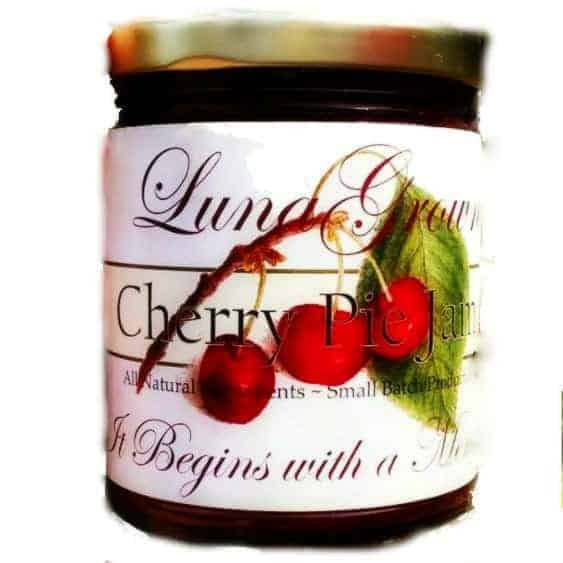 LunaGrown uses Montmorency cherries when creating our cherry jam. 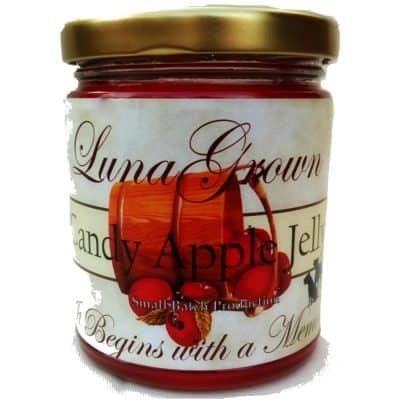 Carefully chosen spices and a kiss of almond will have you believing it's cherry pie in a jar. 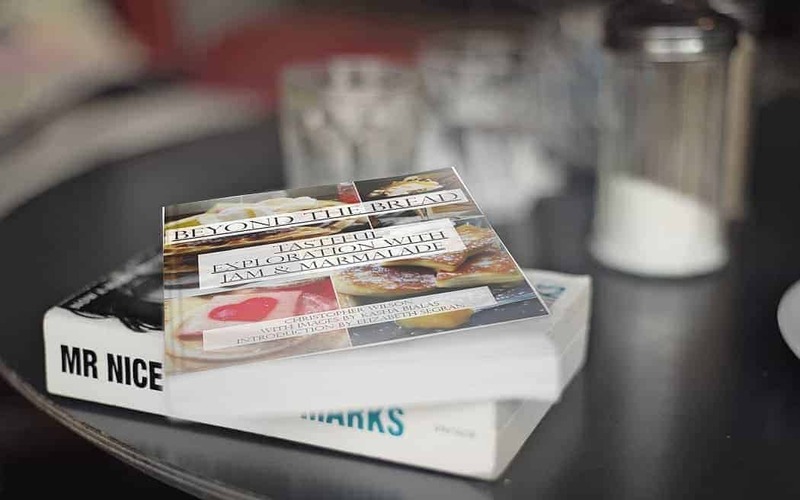 An unforgettable experience for your palate. So much like cherry pie you'll wonder where the crust is! 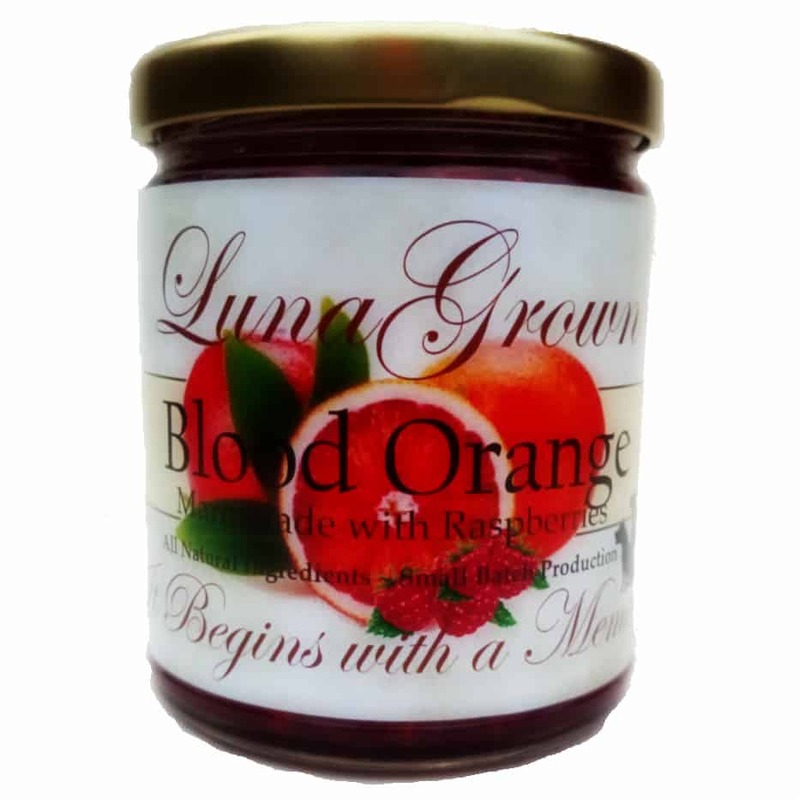 Our Blood Orange Marmalade is a rare delight. Enjoyable on any toast or biscuit. 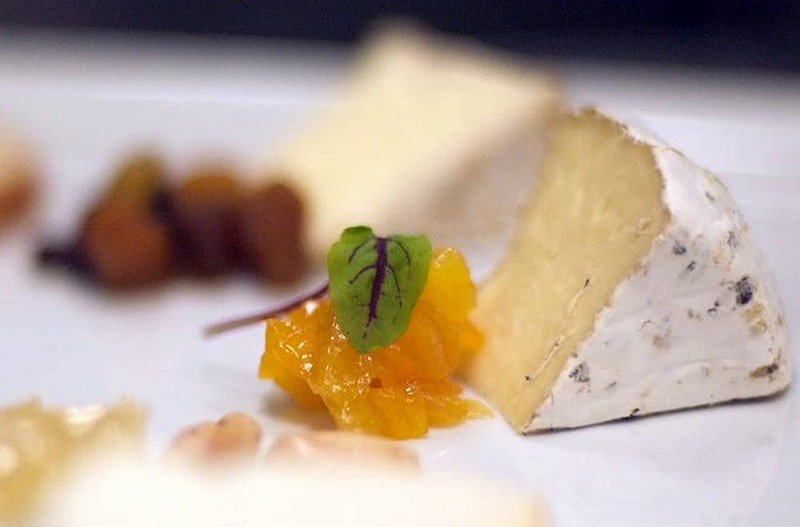 Superb as a pastry topping or pairing with dark chocolate. This amazingly versatile Marmalade will brighten any moment, one taste and you will count the days until it's available again next year. 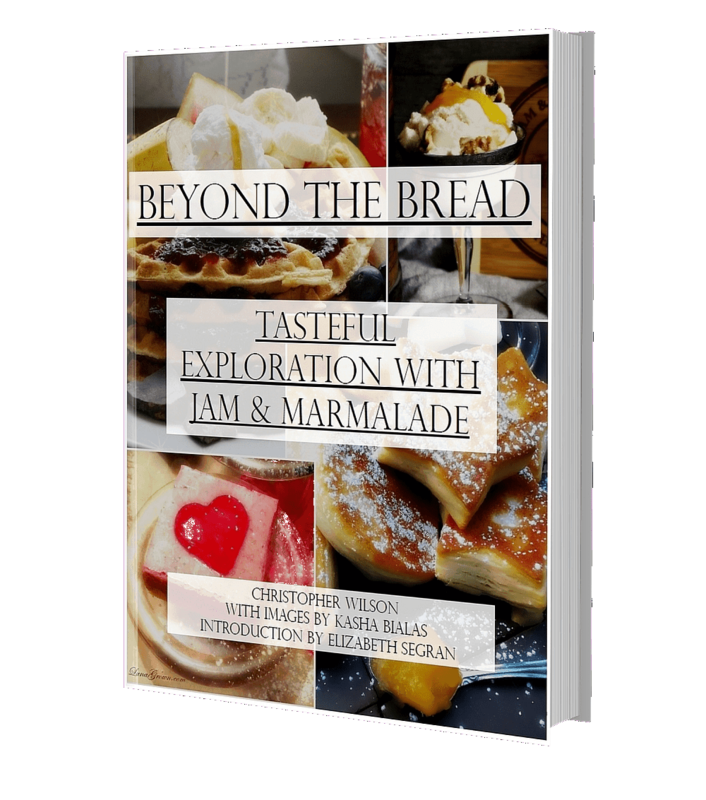 Kindle version now available from AmazonBeyond the Bread ~ Tasteful Explorations with Jam & Marmalade is your guide to enjoying your favorite jams & marmalades in delightful ways. 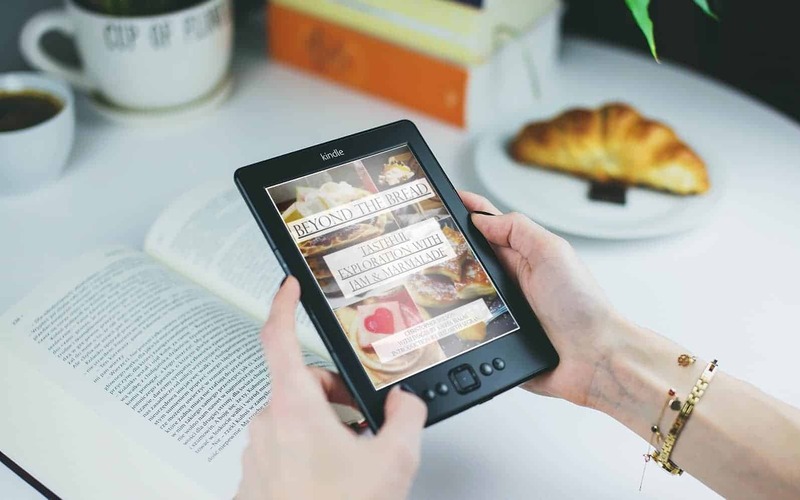 Enjoy exploring tastes from beverages and pairings to breakfast combinations, gravies, dinners and desserts. Do you have a cupboard filled with jams you received as gifts and just don’t know what to do with them all? 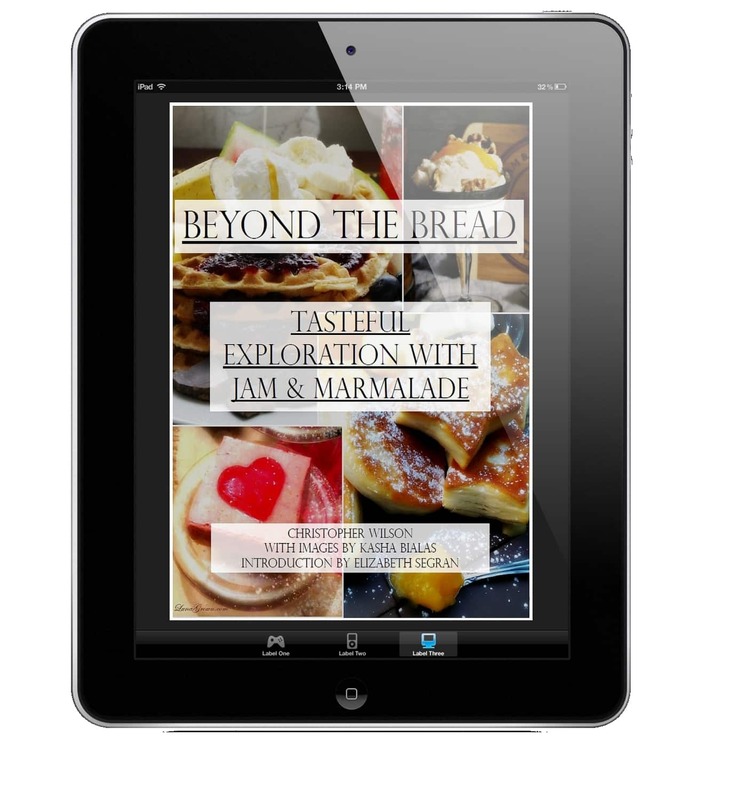 Do you love jams and marmalades but are tired of just having them on toast? 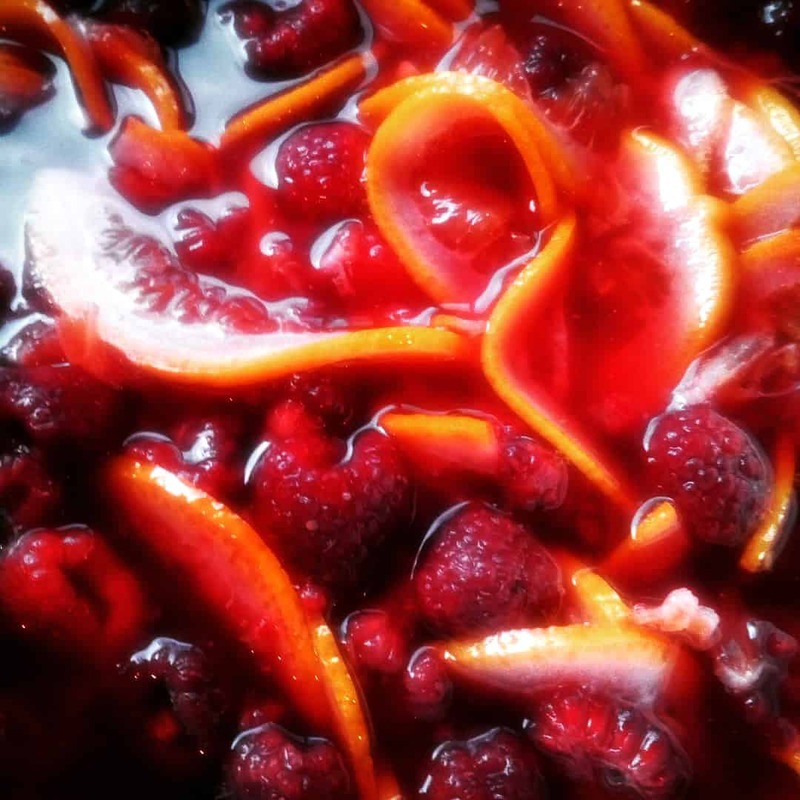 Have you discovered a favorite jam or marmalade and want to explore the possibilities? Let our 142-page full-color book be your guide to the perfect pairing.